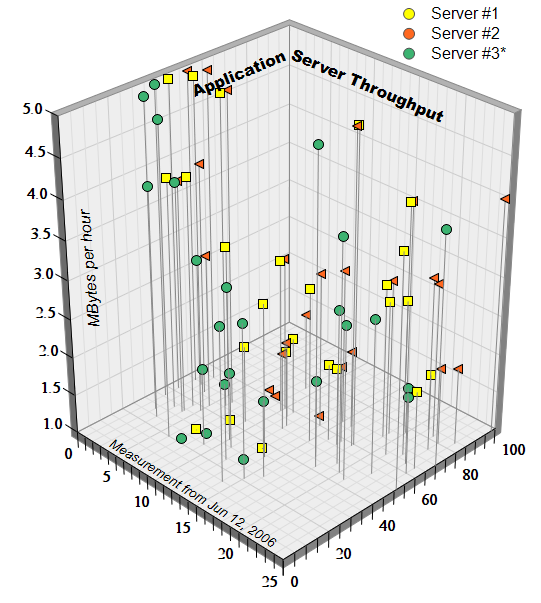 Chartdirector® Plots - simplexnumericas Webseite! 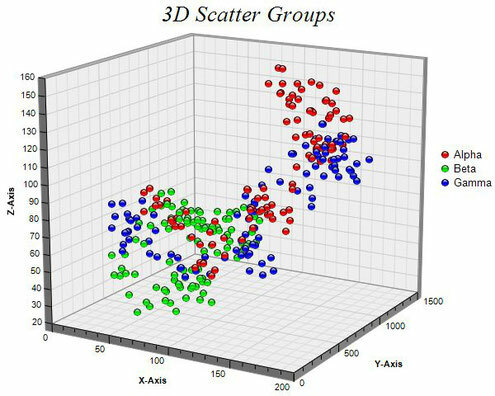 A 3D scatter chart with the symbols colored based on their z-values. 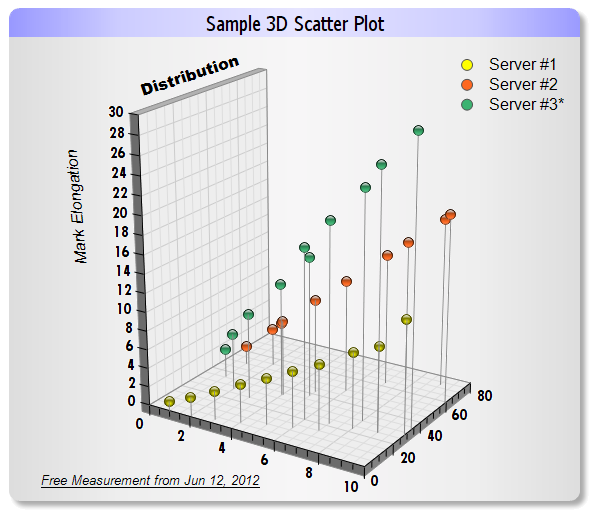 A 3D scatter chart with the symbols colored based on their z-values using a continuous color scale. 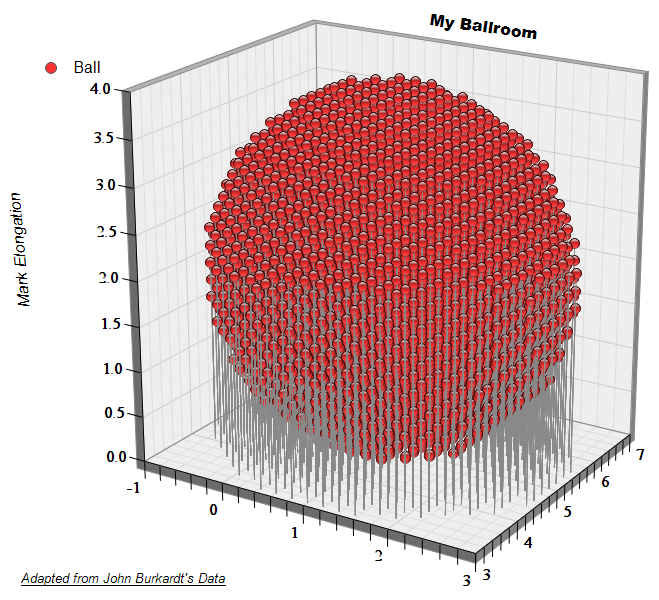 In addition, drop lines are added to help visualizing the 3D positions of the symbols. 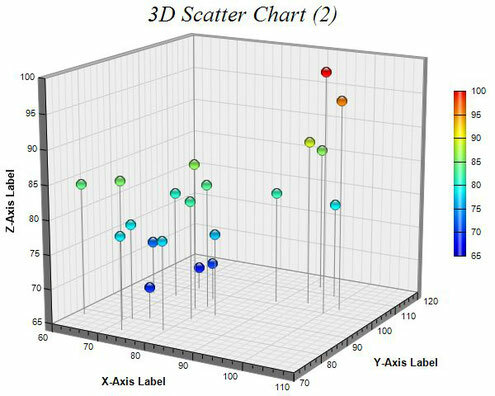 A 3D scatter chart with different groups of symbols represented using different colors. 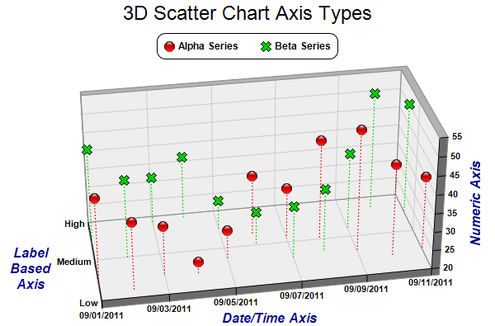 This chart illustrates the different axis types supported by SimplexNumerica - label based axis, date/time axis and numeric axis. 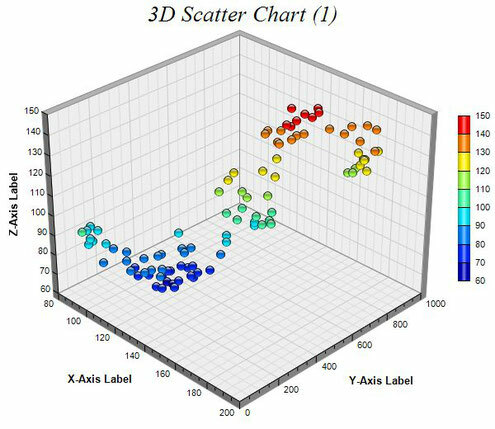 Two groups of symbols represented using different shapes and colors, are included in this chart, and drop lines of matching colors are added to help visualization.